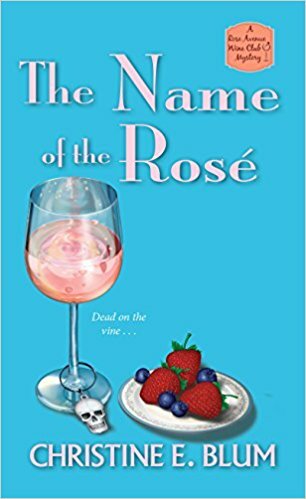 The ladies of the Wine Club take a break from sipping their rosé to put a cork in murder. . .
Annie “Halsey” Hall could get used to this—sitting around the pool in her backyard in Southern California, savoring the latest wine flights with the ladies of the Rose Avenue Wine Club: her best friend Sally, frozen yogurt shop owner Aimee, widow Peggy, and their newest member, journalist Mary Anne. Even Bardot, Halsey’s yellow lab, is in attendance, eyeing the pool as if contemplating a dive. But the peaceful pleasure of the afternoon is soon shattered by the boom of a small plane crash at nearby Santa Monica Airport. Sometime later, a sour-faced detective shows up, holding a package of illegal drugs found on the plane—with Sally’s address on it! Being suspected of drug smuggling is bad enough, but when a young mechanic who works at the airport is found murdered, the club springs into action. To get their investigation off the ground, they’re going to have to wing it, but they’re determined to unmask a killer . . .